First-Year Experience and Transition Programs provide academic support which is designed to assist undergradaute students in refining and strengthening the academic skills necessary for success at University of Nebraska-Lincoln. 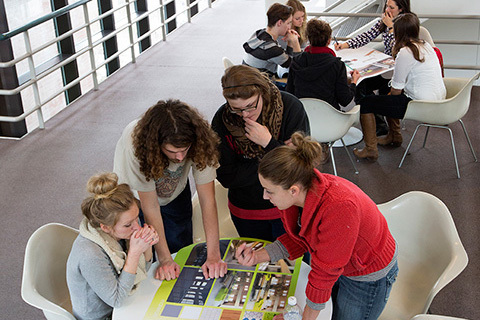 Our staff works closely with other departments on campus and offers academic support through workshops, Study Stop, and one-on-one academic coaching. Academic Success Workshops are free and open to all University of Nebraska—Lincoln undergraduate students. Seats are available on a first-come, first-served basis. Workshops cover a variety of topics to assist students through their transition to college and success in the classroom, and how to make the most out of their UNL experience. 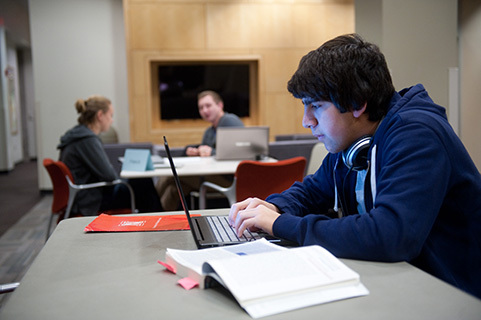 The Study Stop offers students offers drop-in academic support to all Nebraska students in the Adele Hall Learning Commons. Students can meet with a learning consultant for extra help with coursework Monday through Thursday evenings from 7:00-9:00pm or meet with a FYE Peer Mentor for drop-in academic coaching. No appointment necessary! See the daily consultant schedule for details. Stop by today! Sometimes students are not as academically successful as they hoped to be. Our office supports students who are placed on probation when their term or cumulative GPA falls below a 2.0. If you have received notification that you are on academic probation from the Registrar's office, reference your MyRed Message Center to understand your next steps. To find out more, click the "Academic Recovery Jumpstart" box below.